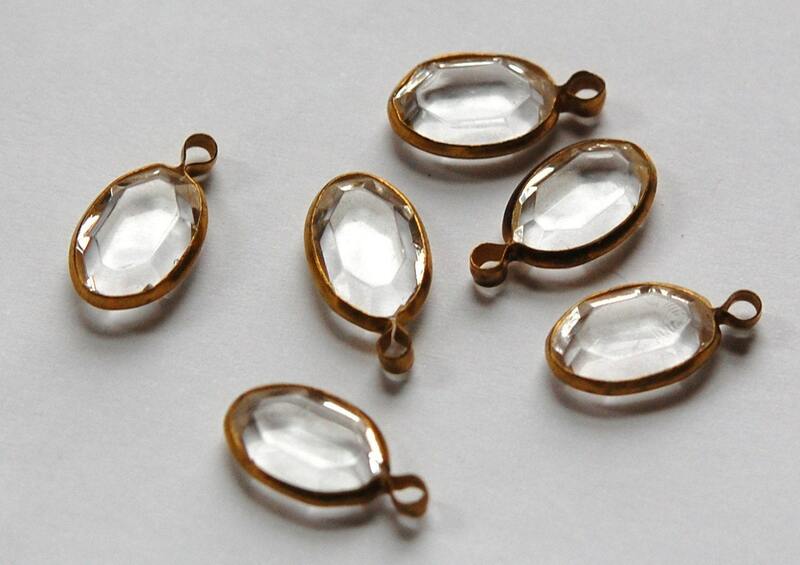 These are vintage clear faceted oval stones that are set in raw brass. 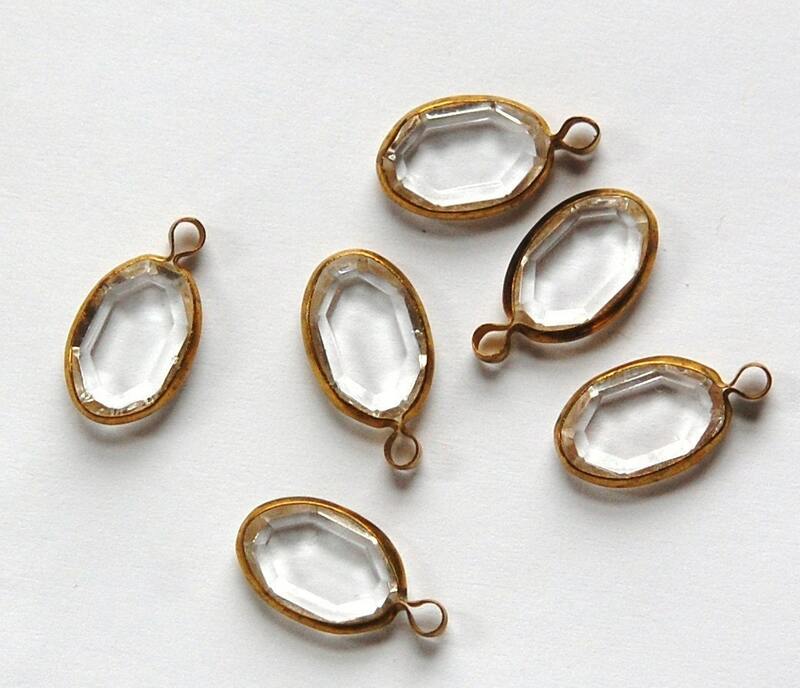 These measure 15mm long with loop X 9mm wide. You will receive 6 pieces. everything from this shop is great!